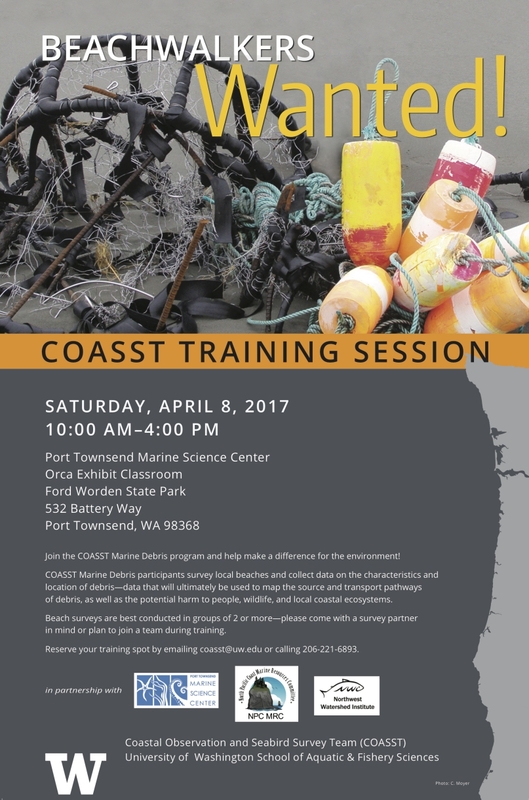 Join the COASST Marine Debris program on Saturday, April 8th from 10am - 4pm and help make a difference for the environment! COASST Marine Debris participants survey local beaches and collect data on the characteristics and location of debris-data that will ultimately be used to map the source and transport pathways of debris, as well as the potential harm to people, wildlife, and local coastal ecosystems. Beach surveys are best conducted in groups of 2 or more-please come with a survey partner in mind or plan to join a team during training.